Without further ramblings by yours truly, take it away Tanya! There may be another plant that a greater number of people despise (dandelions, maybe? 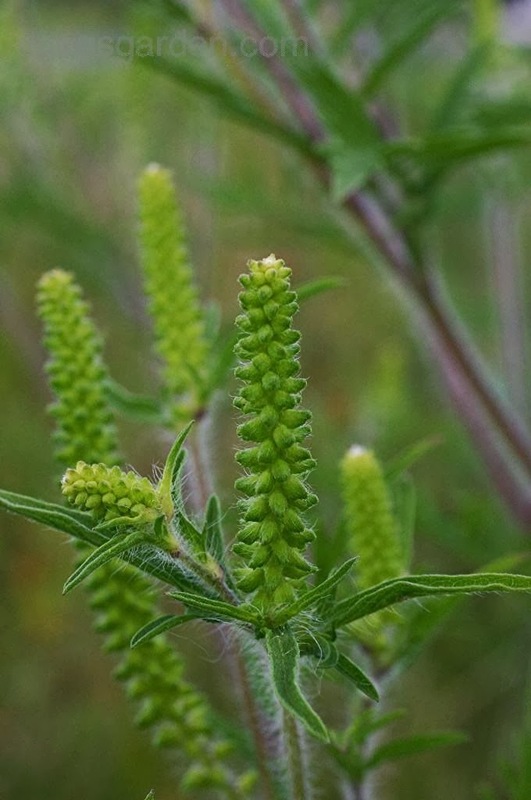 ), but for sheer intensity of feeling, I would argue that the most hated plant around must be Common Ragweed (Ambrosia artemisiifolia). 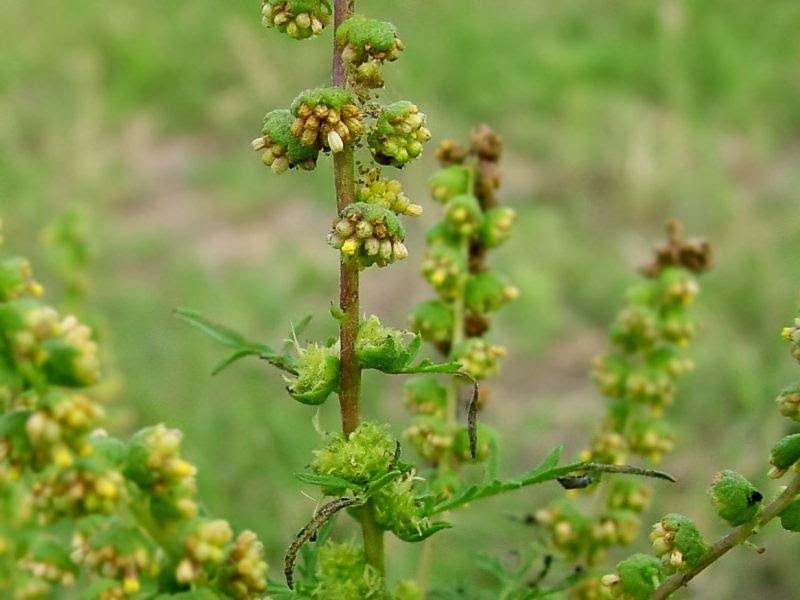 Every year in mid-August, many of us get that old, familiar itchy-eyes and runny-nose feeling that sends us running for filtered, air-conditioned air and antihistamines, and Common Ragweed is most likely the culprit. As Jen mentions in THIS POST, many people blame their fall allergies on showy flowering plants like the innocent goldenrods. But, in order to cause your allergic reaction, you must breathe in the pollen grains, which means that the plant you’re allergic to is wind-pollinated: the plant produces lots and lots of pollen light enough to be blown around in the wind, and it’s betting that some of it will land on the female parts of another plant of the same species. Plants that use this strategy have small, inconspicuous flowers because they don’t need to expend energy to attract pollinators like bees and butterflies to carry the pollen around for them. 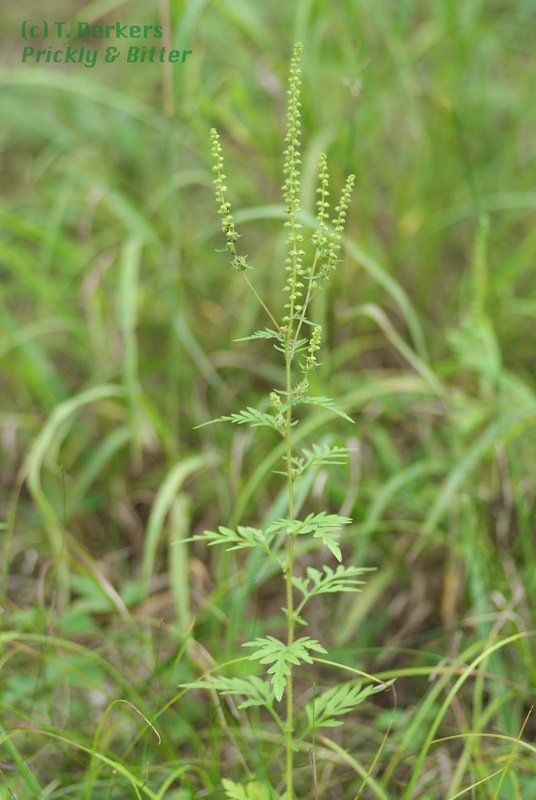 Common Ragweed falls into this category: its pollen can be carried by the wind for hundreds of kilometers. It’s hard to get away from this stuff. Common Ragweed is native to North America (Jen says: I put "non-native" for the species status so that I could have a diagram with the "Invasive" box highlighted!) but has become an invasive species in Europe and Japan. It is a “supertramp” species (yes, that’s a legitimate ecological term), which means that it produces lots of seed, disperses widely, and does really well in disturbed habitats. When you start looking for Common Ragweed, you’ll most likely find it in highly disturbed areas, like beside roads and in agricultural fields rather than stable forested areas, so really, it’s all our fault there’s so much of this stuff around: we’ve created lots of habitat for it! 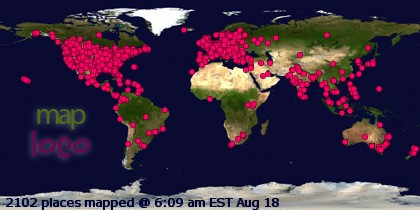 There’s probably much more Common Ragweed around now than there was when Europeans arrived in North America. You can burn it, pull it, mow it, or kill it with chemicals, but it will most likely come back in full force the very next year. A good argument for increasing the amount of healthy forest and grassland habitats where Common Ragweed can’t compete, I say. 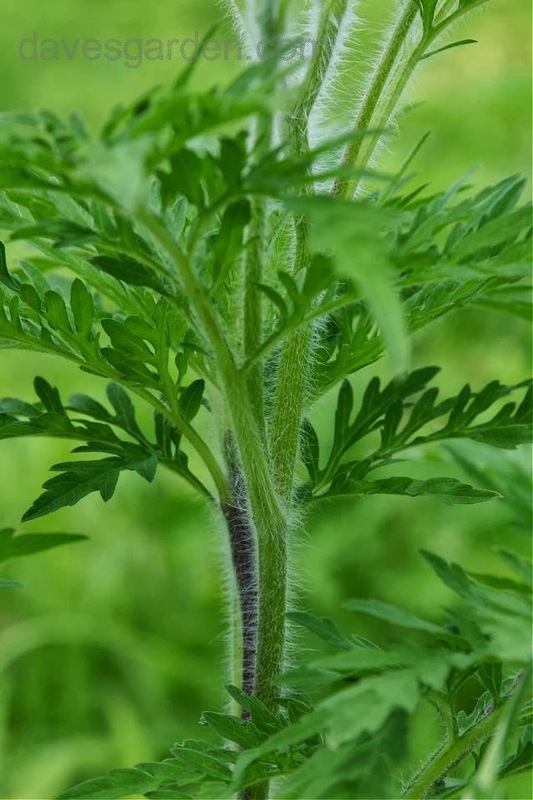 Ragweed leaves are compound and finely divided, and look a little like Wild Carrot (Daucus carota, which you can read all about in THIS POST) or Yarrow (Achillea millefolium, which you can read all about in THIS POST). The flowers and seeds are produced in a tall spike called a raceme, and the plant grows to be about one meter in height. This means that, in many areas, it isn’t completely covered by snow throughout the winter, and any of the seeds remaining on the plant remain accessible to animals like birds and small mammals. 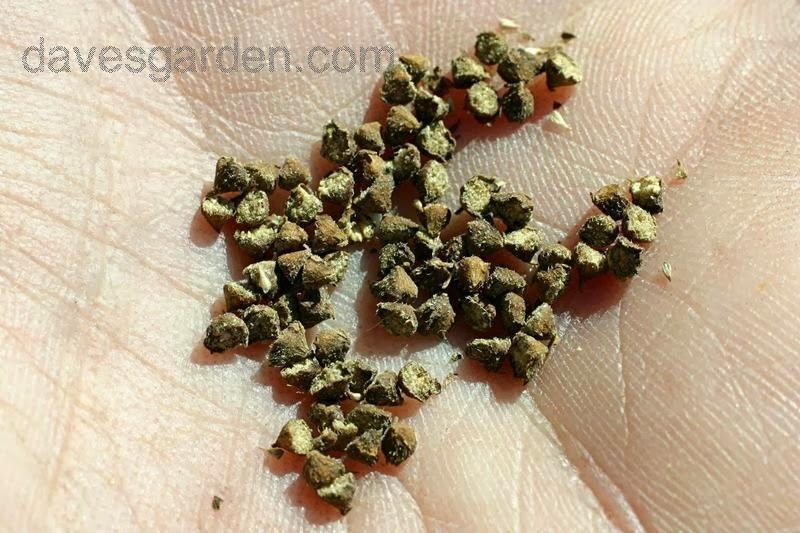 The seeds have a very high oil content too, which makes them even more valuable to wildlife. When Common Ragweed is causing you or your loved ones autumn misery, think about the mice and voles that will be depending on their stored ragweed seeds to survive until spring... and in the process, spreading them all over the place so there will be lots more for next year!